One of our most accurate instruments yet and can be used up to 100 times. Our most flexible and accurate instrument. The only source for chlorine dioxide calibration gas. Mass flow feedback provides sample draw calibration capabilities up to 5 lpm. 50 and 100 hour sources available. CSA certified and intrinsically safe. 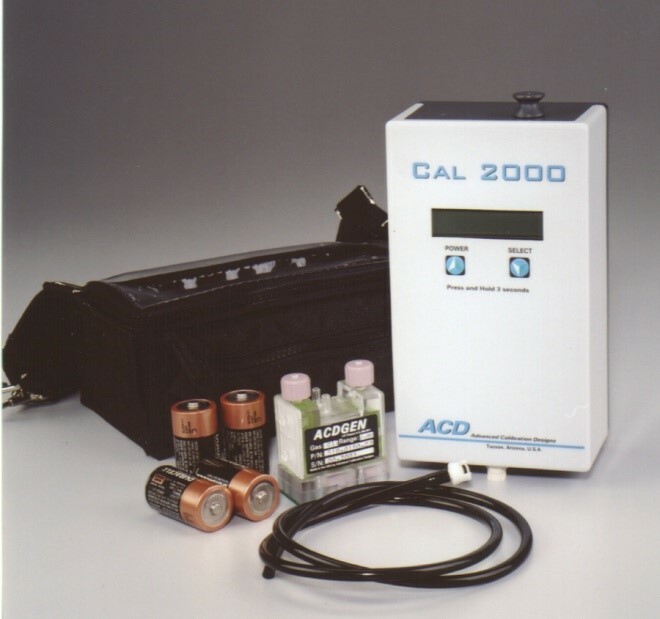 Field replaceable calibration gas sources (generating cells) provide a calibration standard for accurately testing Chlorine, Chlorine Dioxide, Hydrogen, Hydrogen Cyanide,and Hydrogen Sulfide gases with a single instrument.